When it comes to holiday home prep, the first stop is the kitchen! Hedda Sterne says that “cooking is an extension of love” and that rings especially true around the holidays. Many fond memories are made in the kitchen – so it’s your job to make sure that can happen! Nothing can put a damper on a holiday meal like a major appliance going out or worse – having to order takeout! Set yourself up for success by checking (and cleaning) the stove and oven along with any other appliances or tools that you’ll be using. Whether you’re cooking a whole meal from scratch or throwing a bag of frozen meatballs in the crockpot, you need the kitchen to be functioning at full capacity. Second on your holiday home prep checklist is also one of the most important – while it may not be the most glamorous room in the house, the bathroom is a holiday essential when hosting guests. Make sure that everything in the throne room is in good working order as you don’t want to end up with a restroom emergency while friends and family are milling about! Also, it’s never a bad idea to have at least two restrooms available to guests. 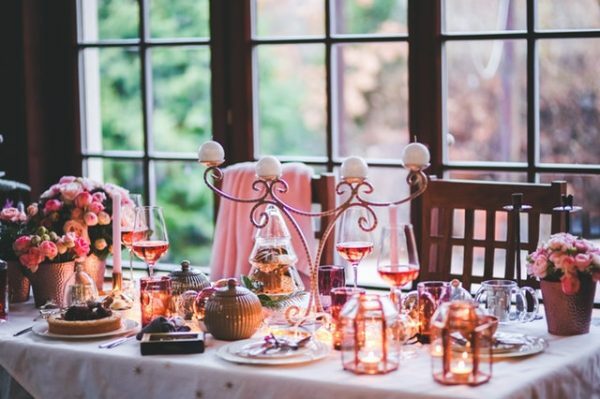 Hosting a holiday get-together is a great excuse to check all of your safety equipment. When was the last time you tested your smoke detectors? What about carbon monoxide detectors? If it’s been more than a few months, get a stool out and check that all of your safety equipment is in good working order and replace the batteries. Residential fires during the holiday season are more frequent, more costly, and more deadly than at any other time of the year. Keep your friends and family safe – do your due diligence and ensure all of your safety equipment is functioning properly! When knocking out your holiday home prep, it’s easy to focus on the needs of those your age and to totally forget about any kids that may be joining in the fun. If you’re expecting any little guests, make sure that your home is safe for them. Whether that means keeping any sharp and/or dangerous objects out of reach or making sure any staircases are blocked off, it’s always better to be safe than sorry!